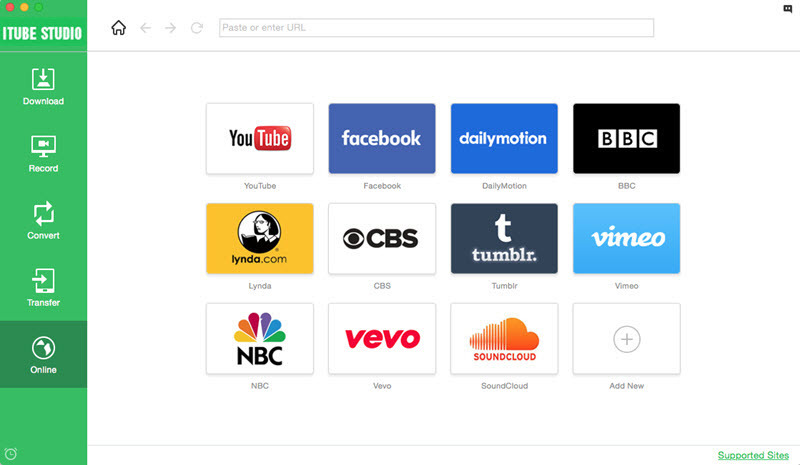 This Mac video downloader allows you to download online videos in 3 easy ways. 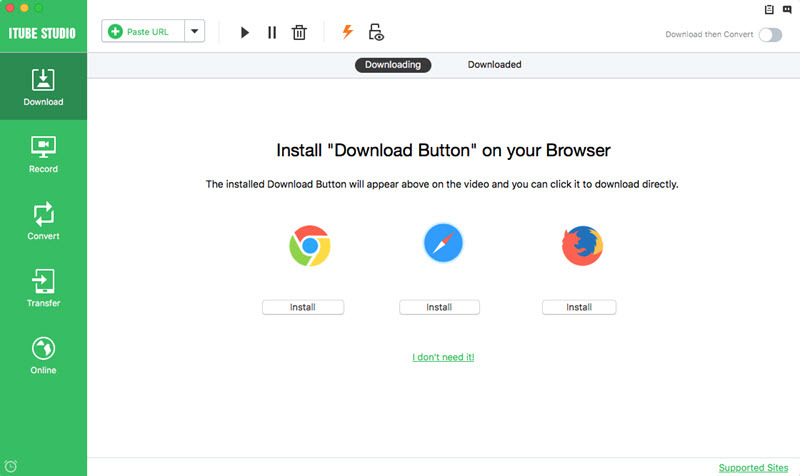 You can download videos with the browser plugin in your own browser Safari, Firefox and Chrome, or download videos with the built-in browser. Another easy way to download videos is to copy and paste the video URL. Follow the below guide to download your favorite videos. For Safari and Firefox users, the iTube extension will be installed in your browser directly once you have installed the video downloader. 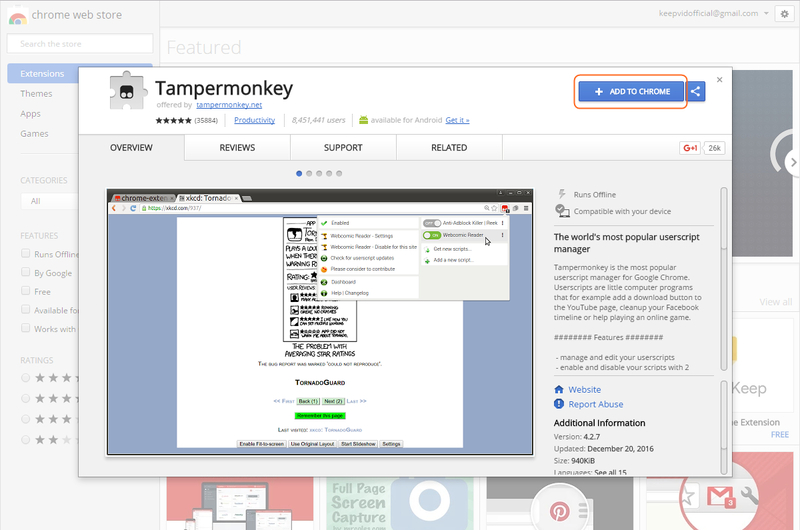 You can go to Preferences > Extensions to check and install or uninstall the extension. And then you can directly download videos in Safari and Firefox. 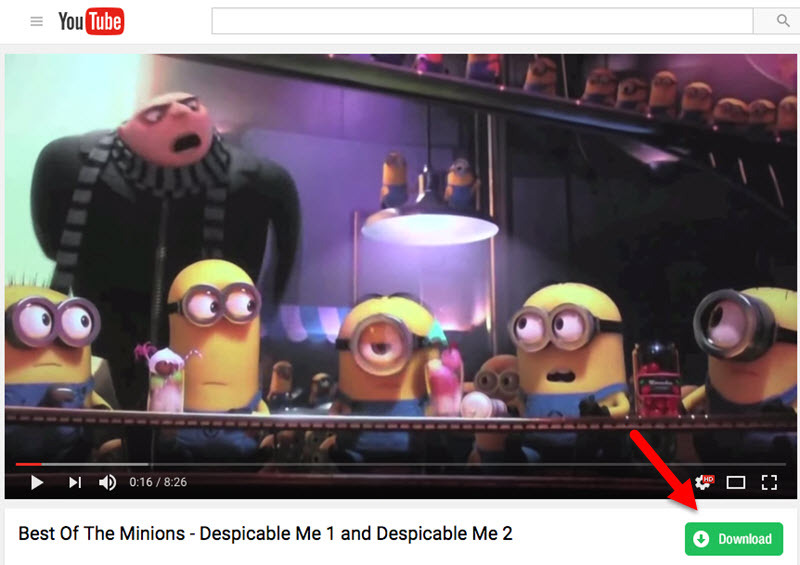 For Chrome users, the "Download" button will appear under the video window. You can also directly click the button to add the videos to download queue. You can also copy the video URL of the video page, and click the “Paste URL” button in the primary window to download the video from URL immediately. 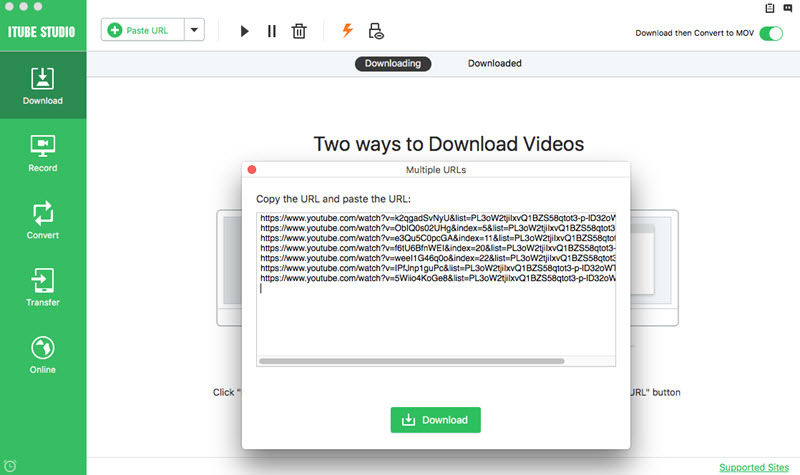 iTube Studio for Mac supports to download multiple videos in batch, just input all the URLs of your favorite video and download them together! Alternatively, you can download videos on Mac with the built-in browser. Step 1. Go to the "Online" tab and you can open the video site like YouTube directly. Step 2. Open the video you want to download and you will see a "Download" button under the video window. 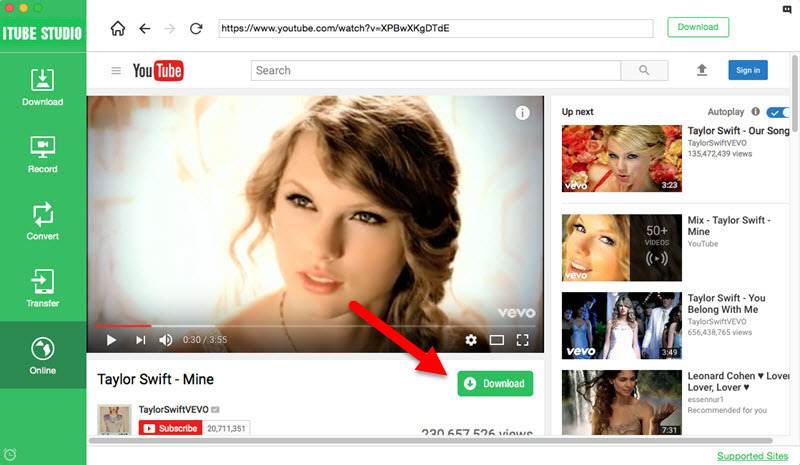 Simply click the "Download" button and start downloading videos on your Mac.